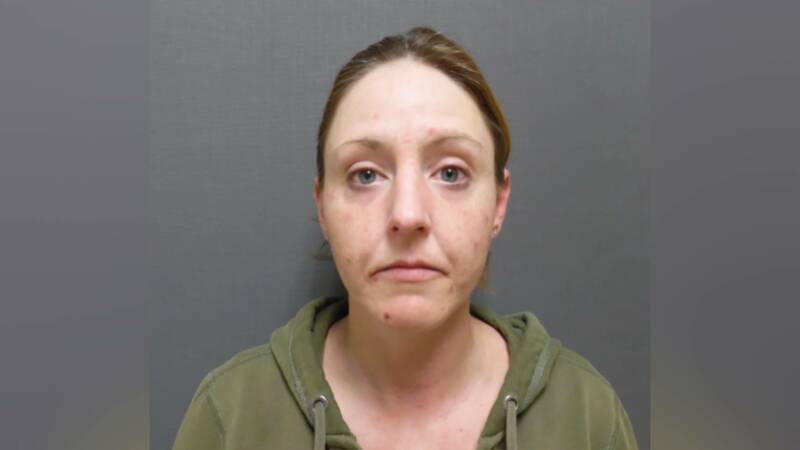 DERBY — Police say a 38-year-old woman from Canaan who led them on a high-speed chase last week, stole gasoline from a local station beforehand. Anna Roy is now being charged with retail theft in addition to the charges relating to the chase. Police say on the day of the incident they were contacted by Thompson’s Redemption in Derby and notified of an ongoing issue with a woman pumping significantly more gas than had been pre-paid for, before driving away. Later that day police were involved in the high-speed pursuit with Roy, who was traveling in a white Dodge Avenger. She was placed under arrest after crashing into a pole in Derby, near the intersection of Bates Hill Road and Route 111. Police say they were advised by Thompson’s staff that their suspect and vehicle matched the description of Roy and the white Avenger. “A subsequent review of camera footage revealed that on 11/10/18, and prior to the pursuit on 11/11/18, Roy was the one who had committed the gas thefts,” a statement issued by Trooper Daniel Lynch reads. Roy has already been to court for the vehicle offenses and will be back in court in January to answer to the additional charges. DERBY — A 38-year-old woman from Canaan is facing numerous charges after police say she led them on a high-speed chase before crashing into a utility pole. Anna Roy is being charged with felony eluding a police officer with gross negligence, grossly negligent operation, recklessly endangering another person, excessive speed, as well as numerous civil violations. At around 4:00 p.m. on Sunday, police started receiving calls that a white Dodge Avenger was headed west on Route 111 from Island Pond, reaching speeds of 80 miles-per-hour. A trooper encountered the vehicle near the Morgan Country Store, traveling 74 miles-per-hour in a residential area. Police say Roy failed to pull over when the trooper initiated the stop, and continued at a high rate of speed past the store. “The vehicle continued failing to yield, continuing to pass vehicles and nearly causing multiple collisions,” Trooper Daniel Lynch said in a statement. The pursuit continued into Derby on Route 111, when Roy failed to negotiate a turn at the intersection of Bates Hill Road, crashing into a utility pole and coming to rest in a drainage ditch. She was taken into custody. Police say at the scene they were approached by numerous concerned citizens reporting Roy’s erratic driving. According to the report, nobody was injured during this incident. NEWPORT — Two Newport Police officers graduated from the Vermont Police Academy last week. 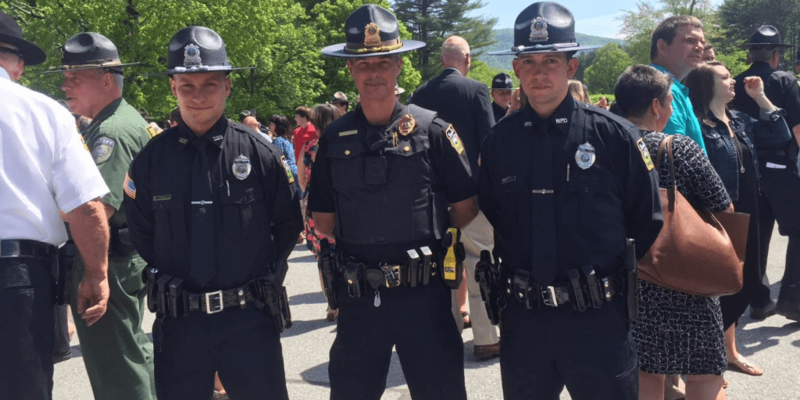 Officer Colin Sykes and Officer Cody Smith graduated from the Vermont Police Academy’s 105th Basic Training class on Friday, May 25. They were recognized at a ceremony at the Vermont Police Academy headquarters in Pittsford. Officer Sykes, a native of Derby, was nominated to be the class president and gave the graduating class’s commencement speech. Officer Smith, of Canaan, was awarded the Academic Award. The award is given to the recruit who earned the highest GPA over the course of the training. He also received the Top Driving Award. In order to graduate, the two officers completed a 16-week basic training program. Both will be working the night shift at the Newport Police Department. Thirty-seven graduates from the 105th Basic Training Class will join police departments across the state. Eleven of those graduates will join the ranks of the Vermont State Police and will be deployed to barracks throughout the state. CANAAN — Almost everyone is familiar with the fairy tales of old – Rapunzel, Cinderella, Snow White. They are stories that cross generations and have helped children and the adults in their lives come together with their words and worlds of imagination and lessons. Author and children’s counselor, Tanya Sousa visited the Canaan Library recently to take fairy tales a step further. The Vermont writer lead a workshop with children and adults that talked about the usefulness of retelling fairy tales, rebuilding them, replacing the usual characters with family members, friends or beloved pets, and tweaking the details of the story to go along with those new characters. 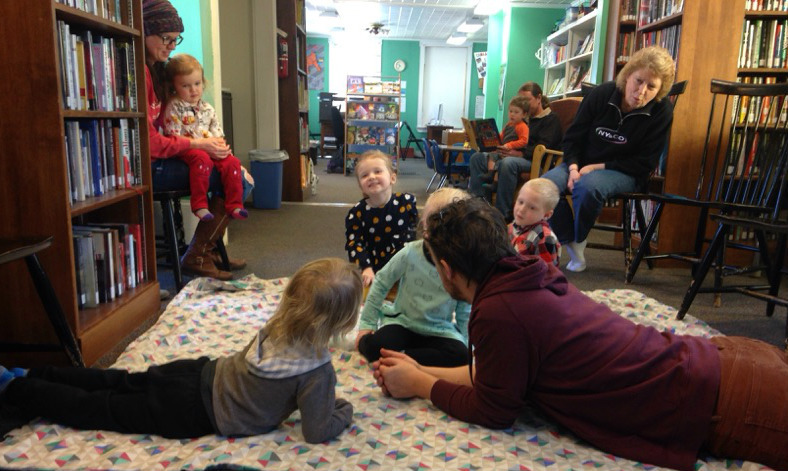 “The idea is to practice story-telling in a way that increases literacy and also brings adults and children together in a bonding activity that’s a lot of fun,” Sousa said. Sousa began by reading an example of one of her own fairy tale retellings called Pogo and the Wolf. Based on Little Red Riding Hood, the new story places her bouncy, tiny dog Pogo in the place of Little Red Riding Hood, other dogs for the mother and grandmother, and a wolf remains, of course. There is a dog-oriented walk to Grandmother’s house with a lot of sniffing, rolling in leaves and squirrel chasing, and grandmother’s doghouse includes a dog bed, her favorite dog toys, and the smelly wool socks Grandmother likes to sleep with. After Sousa read the sample and gave a bit more information, families were encouraged to practice a retelling of their own. The workshop was funded by Northeast Kingdom Learning Services through the Vermont Adult Education Grant. The funds are supporting Family Education Activities in the Canaan area, including activities that have taken place at the school, the NEKLS Community Learning Center and more that will also take place at the library. Most of the activities are connected to children’s books or literacy in one form or another. The funding continues until the end of June. To suggest ideas for future Canaan Family Education Workshops/Activities, contact Tanya Sousa at tanya.sousa@neklsvt.org. To find out more about Northeast Kingdom Learning Services (NEKLS), call the toll free number: 1-844-GO NEKLS (466-3557) or visit the website, www.neklsvt.org. 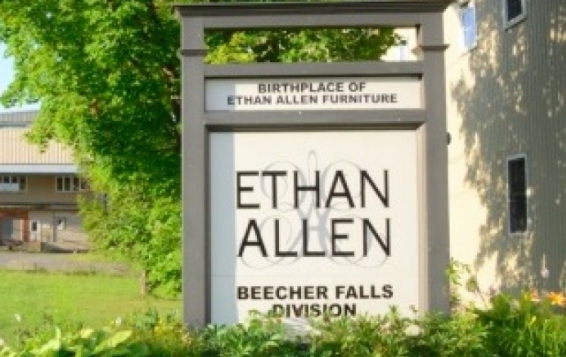 BEECHER FALLS — A 55-year-old man who worked at the Ethan Allen Plant in Beecher Falls died in an accident at the factory on Wednesday. 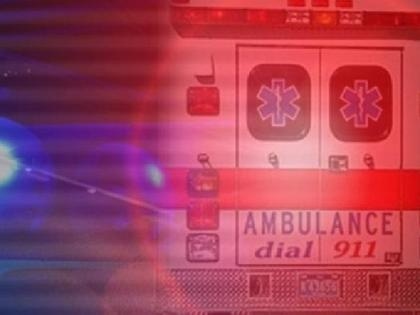 At around 3:30 p.m. emergency workers responded to a call that a worker had sustained serious injuries while performing maintenance on machinery within a silo. The victim, identified as Bruce A. Biron, of West Stewartstown, New Hampshire, died as a result of the injuries and was pronounced deceased on scene. Vermont State Police Detectives responded to conduct a death investigation. VOSHA was also notified. Biron was transported to the Office of the Chief Medical Examiner in South Burlington. The investigation is ongoing, but authorities say at this time it appears the death was an accident. The official cause and manner of death is pending the autopsy. Biron had been an employee of the company for 25 years. BLOOMFIELD — Three people were injured in a two-vehicle crash in Bloomfield on Sunday. At around 6:45 p.m. police responded to Vermont Route 102 near the intersection of Schoolhouse Road. When they arrived, three people had been transported to local hospitals. 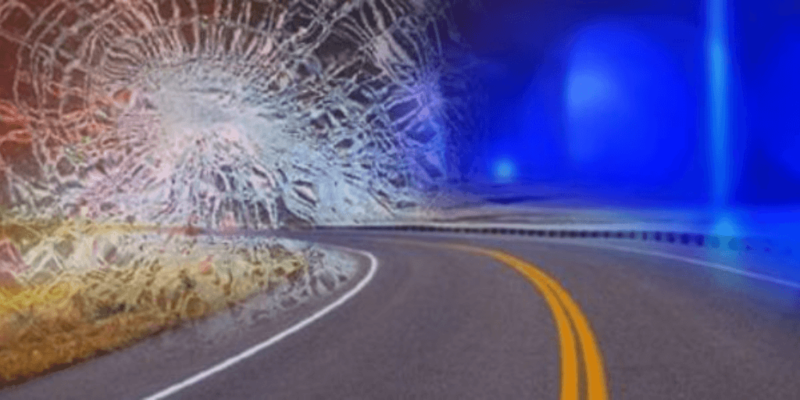 According to police, April Moore, 25, of Canaan, was traveling north in a 2012 Suzuki at approximately 30 miles-per-hour and attempted to turn into a driveway. Moore failed to see a 2009 Chevrolet Cobalt that was headed south. 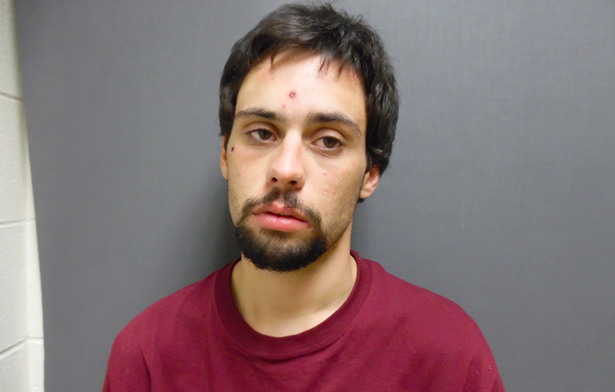 Nick Smith, 24, of Colebrook, NH, was driving the Cobalt. Moore’s vehicle collided head on with Smith’s vehicle in the southbound lane. Airbags were deployed in both vehicles. Smith was transported to Connecticut Valley by ambulance with minor injuries. A pregnant female was transported to Littleton Regional Hospital by ambulance. Moore was transported by private vehicle to Connecticut Valley. Both vehicles received significant damage as a result of the crash and were towed by Ray’s Auto out of Newport. CANAAN — A single-vehicle crash in Canaan on Saturday morning led to the arrest of a fugitive from New Hampshire. At around 7:00 a.m. police were advised of a crash at 35 Lake View Drive. The driver was identified as Dillon Johnson, 21, of Colebrook, New Hampshire. Police say Johnson had several active warrants for his arrest, including robbery, simple assault, aggravated domestic assault, criminal threatening, and kidnapping. He was placed under arrest and transported to Derby, where he was processed. Johnson was lodged at the Newport Correctional Center on fugitive from justice charges out of New Hampshire. Dana Mitchell and Nathan Grimm were recognized for their participation in the North Country Improv Troupe for bringing theatre skits with prevention messages to middle school students in Troy, Coventry, Lowell and Charleston. Courtney Blanchard received her award for winning the HealthWorks Scholarship Essay Contest. 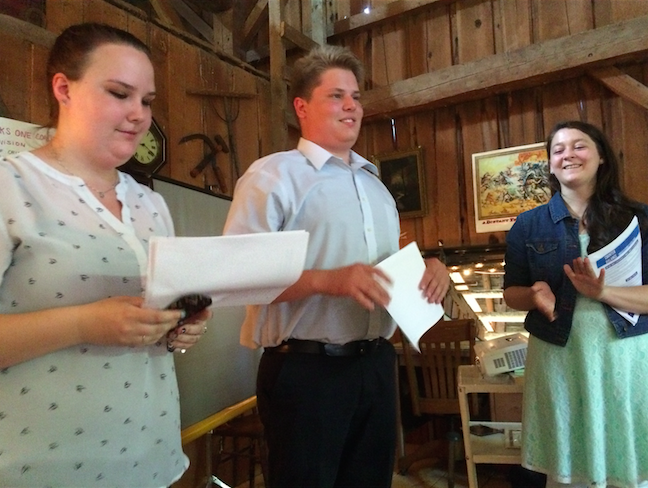 LOWELL — Students from North Country Union High and Canaan Schools spoke last week at Kingdom Commons Barn in Lowell, at the Annual Meeting of HealthWorks O.N.E./NEKLS Coalition. The 2016 Recognition Awards went to Courtney Blanchard, a senior at Canaan School and to Nathan Grimm, a senior at North Country Union High School, with Dana Mitchell, a graduate of North County and presently a student at Lyndon State College helping with the awards. Mitchell is currently conducting an online survey of recent NCUHS students as the youth representative on the HealthWorks Advisory Council. Blanchard was the recipient of the 2016 Scholarship Essay Contest award, and she read her winning essay about policies that she would use to decrease alcohol use by youth. She advocated for mental wellness programs in elementary schools because “if children were taught to deal with stress in an appropriate manner and at a younger age, it would help them deal with these problems in a much more positive way later on…They need to learn the skills to deal with pressure, rather than turn to substances to hide away”. Maurais’ essay was read at the Newport Planning Commission the following night, where Mitchell and HealthWorks prevention specialists Lesley Becker and Paul Dreher spoke about decreasing youth exposure to alcohol advertising by limiting signage. Dreher discussed a recent ordinance in Winooski limiting advertising in windows or doors of storefronts, for the purpose of improving the appearance of the downtown. Discussion at the HealthWorks meeting included results of the Vermont 2015 Youth Risk Behavior Survey showing the most frequent way that youth say they get alcohol is that someone gave it to them. Possible solutions were to restrict sales of alcohol at public events or limiting hours when alcohol consumption is allow in parks or beaches. This coming summer and fall, Coalition partners and the community are invited to join Action Teams on Policy and Media to work on these and related issues. Please contact HealthWorks@neklsvt.org if you are interested in joining. 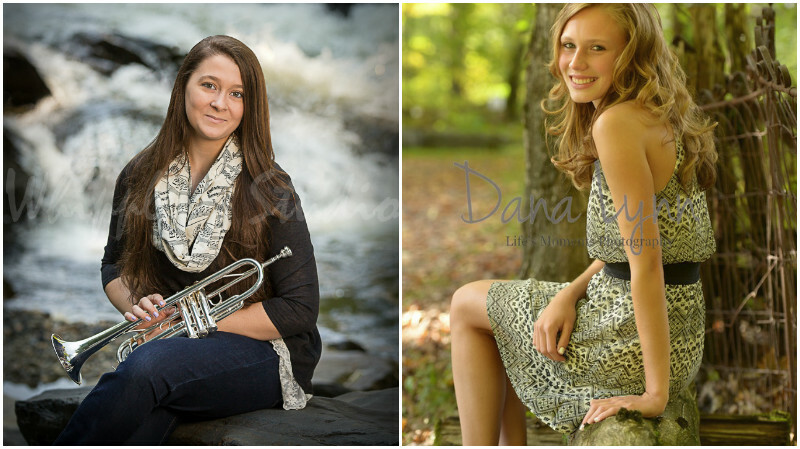 Photo, Left to Right: Courtney Blanchard and Adrianna Maurais, both of Cannan. NEWPORT — The HealthWorks O.N.E. Coalition recently announced the winner and runner-up of their 2016 Scholarship Essay Contest. Courtney Blanchard of Canaan and Adrianna Maurais, also a student in Canaan, took top prizes in the contest. For her essay, Blanchard wrote about a policy to “develop intensive mental wellness programs” in elementary and middle schools. Blanchard, who will attend Gordon College in the fall, won a $300 scholarship. Runner-up Adrianna Maurais outlined the impact of alcohol advertising on children. Maurais will be attending Plymouth State University, and will receive a $50 prize as runner-up. The winning student writers will be recognized at the Annual HealthWorks O.N.E. Coalition meeting on June 20th in Lowell. Funding for this scholarship was generously provided by HealthWorks Coalition partners Northeast Kingdom Learning Services, Orleans County Restorative Justice Center, the local chapter of the American Foundation for Suicide Prevention, and Rural Edge. 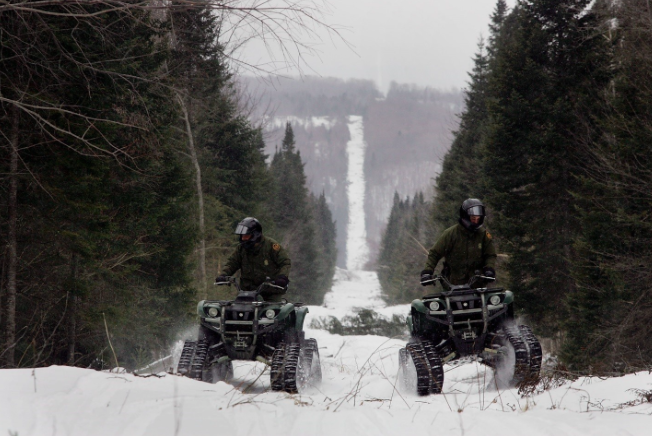 CANAAN — U.S. Border Patrol Agents say they arrested a Spanish citizen who crossed the Vermont-Canadian border near Canaan on Monday evening. A Criminal Complaint filed in U.S. District Court in Burlington alleges that at approximately 6:30 p.m. on March 21, a concerned citizen reported a man hiding in the woods near her home. Agents responded to the area and encountered 21-year-old Cristian Aquino-Montillo. He claimed to be a citizen of Spain but could not produce any documentation allowing to enter or be present in the United States. They arrested Aquino-Montillo and transported him to the Beecher Falls station for further investigation. Record checks confirmed that Aquino-Montillo is a citizen of Spain. The checks also revealed that he is a permanent resident of the Dominican Republic. He was removed to the Dominican Republic on July 15, 2014, because he remained in the United States after his tourist visa expired. The Criminal Complaint charged Aquino-Montillo with re-entry after removal. If convicted, he faces a maximum of 2 years imprisonment and a $250,000 fine. Aquino-Montillo also faces removal from the United States and a bar to re-entry. United States Attorney Eric S. Miller commended the investigative efforts of the United States Border Patrol.